On the motion of the Finance Committee, the first reading of the State Budget of 2013 Bill (278 SE), initiated by the Government, was concluded. The Minister of Finance Jürgen Ligi replied to the questions of the Members of the Riigikogu. The Chairman of the Finance Committee of the Riigikogu Sven Sester made a report, giving an overview of the hearings in the Finance Committee where all ministers had introduced the budgets of their areas of administration. In Sester’s words, the Committee had aimed to get a detailed overview of the budgets, changes and problems of all areas of government. Kadri Simson, Aivar Sõerd, Eiki Nestor and Aivar Kokk took the floor on behalf of factions during the debate. The budget revenue is planned to amount to ca 7.5 billion euro, and the expenditure ‒ to ca 7.7 billion euro. The Bill was sent to the second reading. On the motion of the Economic Affairs Committee, the first reading of the Bill on Approval of Annex 9 to the International Convention on the Harmonisation of Frontier Controls of Goods (269 SE), initiated by the Government, was concluded. The aim of the Annex to the Convention is to facilitate international trade by reducing, harmonising and coordinating the procedures and paper documents connected with frontier control of goods for international rail freight. This Annex contains mainly obligations which aim to reduce delays at railway border crossing points. This includes establishing minimum requirements for border (interchange) stations, cooperation between countries at such stations, moving controls from the border to the stations of departure and destination, reducing the time spent on controls, reducing paper documents and using the CIM/SMGS railway consignment note as a customs document. The Bill was sent to the second reading. On the motion of the Finance Committee, the Bill on Amendments to the Alcohol, Tobacco, Fuel and Electricity Excise Duty Act (280 SE), initiated by the Government, was concluded. The purpose of the Bill is to distribute the 10% rise of the excise duty rate on cigarettes which had been planned for 2013 to two years in order to manage the risks of the secret market resulting from the price rise. In 2013 and 2014, the excise duty on cigarettes will be increased by a total of approximately 12% in order to achieve the minimum rate of EUR 90 per 1000 cigarettes due to enter into force in the European Union in 2014. The 10% rise of the excise duty on cigarettes in 2013 will be replaced by 6% excise rises in 2013 and 2014. The Bill was sent to the second reading. On the motion of the Finance Committee, the first reading of the Bill on Amendments to the Income Tax Act (275 SE), initiated by the Government, was concluded. 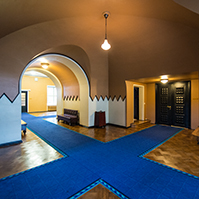 The aim of the Bill is to eliminate unequal treatment of investment funds which has been highlighted by the European Commission within the framework of an infringement procedure which has revealed a difference in the taxation of real estate income received by contractual investment funds established in countries of the European Economic Area and the respective income received by comparable Estonian funds. With the amendments, the taxation conditions are harmonised. The Bill was sent to the second reading. On the motion of the Finance Committee, the first reading of the draft Resolution “Increasing of the Holding of the Republic of Estonia in the European Investment Bank” (285 OE), initiated by the Government, was concluded. According to the draft Resolution, the holding of the Republic of Estonia in the European Investment Bank will be increased by 138 000 euro which will have to be paid in full. The Government of the Republic will be authorised to perform the acts necessary for the increasing of the capital. The draft Resolution was sent to the second reading. 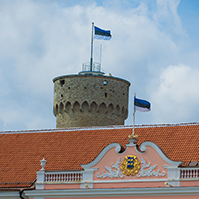 The Act on Amendments to the Commercial Code and Other Associated Acts (258 SE), initiated by the Government, was not passed in the Riigikogu because 49 members of the Riigikogu voted in favour of the Act. However, the Act needed a majority vote of the members of the Riigikogu, that is, a minimum of 51 votes, to be passed. One member of the Riigikogu abstained. 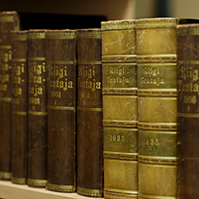 The Act was dropped from the legislative proceeding of the Riigikogu. 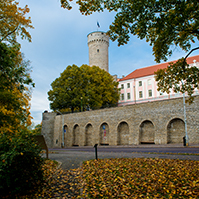 The Act on Amendments to the Marital Property Register Act, the Notary Fees Act and the Civil Status Acts Act (219 SE), initiated by the Government, was not passed in the Riigikogu because 49 members of the Riigikogu voted in favour of the Act. 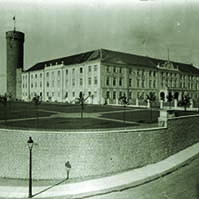 The Act needed a majority vote of the members of the Riigikogu, that is, a minimum of 51 votes, to be passed. The Act was dropped from the legislative proceeding. The Act on Amendments to the Fishing Act (255 SE), initiated by the Government, was passed with 61 votes in favour. The amendments bring the Fishing Act into conformity with European Union law. They provide more flexible possibilities to establish the allowable annual catch allocated to the Republic of Estonia on Lake Peipus, Lake Lämmijärv and Lake Pskov. The Government of the Republic is granted the right to establish the allowable annual catch of a fish species also by half-years, if necessary. On the motion of the Environment Committee, the second reading of the Bill on Amendments to the Ambient Air Protection Act and the Liquid Fuel Act (267 SE), initiated by the Government, was concluded. The aim of the Bill is to bring the Act into conformity with European Union law. With the amendment of the Act, the obligations relating to the protection of ambient air will not change essentially for the operators of pollution sources because only the definitions used are specified and amended in the Act. The Bill provides the establishment of a fuel monitoring database which will enable to bring the already functioning fuel monitoring database into conformity with the Public Information Act. The fuel monitoring database is a database belonging to the state information system in which fuel monitoring data are consolidated and published. With the help of the database, consumers can obtain information on the quality of the fuel sold at petrol stations which enables consumers to make an informed choice when buying fuel. The Bill was sent to the third reading. On the motion of the Finance Committee, the first reading of the Bill on Amendments to the State Fees Act (284 SE), initiated by the Government, was concluded. The aim of the Bill is to increase the state fee payable for driving licences and identity documents issued at foreign missions and documents issued by way of consular service such that the state fee rates established by the Bill would cover the costs incurred for issuing or granting the document. The Bill was sent to the second reading. On the motion of the Environment Committee, the first reading of the Bill on Amendments to the Nature Conservation Act (287 SE), initiated by the Government, was concluded. 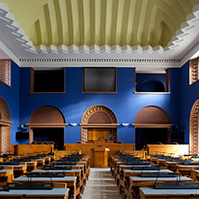 The aim of the Bill is to specify the requirements for the proceedings for placing a natural object under protection and to amend the Act by adding the regulation concerning the delivery of a decision to place a natural object under protection to a party to the proceedings and the justification of the decision. In addition, it specifies the provisions regulating the moving on shore paths and amends the regulation concerning the suspension of the proceeding of another administrative act which may affect the natural object upon making a proposal for placing a natural object under protection or initiating proceedings regarding placing a natural object under protection, by providing the time frame for the suspension of the proceeding for the issue of the administrative act. The aim of the provisions relating to supervision is to amend the Act by adding an opportunity to also issue precepts and apply coercive measures for ensuring the implementation of the Act, in addition to punishing for offences. The Bill also intends to specify the regulation concerning the protection of parks, arboretums and forest stands, to specify the provisions concerning the sale of the species falling under CITES (the Washington Convention on International Trade in Endangered Species of Wild Fauna and Flora), supplemental feeding of wild game animals and the nature conservation subsidy, and to regulate the requirements for the use of non-native species, as well as to grant the Environmental Inspectorate the right of confiscation. As a new issue, the regulation concerning trade in seal products has been added into the Act because, under the relevant European Union Regulation, Member States should lay down rules on penalties and designate a competent authority ensuring the implementation of the Regulation. The Bill was sent to the second reading. The first reading of the Bill on Amendments to the Environmental Charges Act (282 SE), initiated by the Government, was concluded. The aim of the Bill is to change the maximum rates of the natural resource charges in order to enable, through changing the charge rates, more efficient use of natural resources and to value water resources by promoting more sustainable use thereof. The Bill increases the rate of the environmental charge payable upon disposal of oil shale residue by 20% per year as of 1 April 2013, on the model of the charge rates for oil shale fly ash and semi-coke which will rise by 20% per year until 2015 according to the Act which is currently in force. The aim is, by raising the pollution charge rate, to reduce the dumping of oil shale residue and to motivate undertakings to recycle it. The Environment Committee as the leading committee moved to reject this Bill at the first reading. 22 members of the Riigikogu voted in favour of the motion of the Committee and 46 voted against; thus the Bill was sent to the second reading.